Can Amazon Take on UPS and FedEx? With Amazon investing in trucks, planes, drones, and delivery facilities, industry observers including Bloomberg and Wall Street Journal are speculating whether the e-commerce giant is planning to disrupt the logistics industry and compete with FedEx and UPS. But does Amazon really intend to replace the traditional big carriers? The primary motivation for Amazon is to augment its negotiating power against carriers in order to improve customer experience, he said. The online retail industry has grown 15 percent annually over the last six years, according to a report by Citigroup. And Amazon outpaced that with 38 percent annual growth on average over the same period. The tremendous growth and the dominant market position have given Amazon significant bargaining power. The online retail company is estimated to receive a roughly 20 percent discount on shipping rates, according to the report. 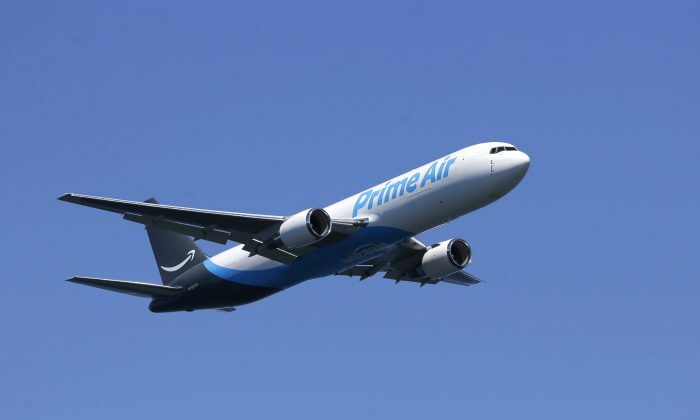 Despite having favorable shipping terms, Amazon is bringing more of its logistics operations in-house to support its rapid growth. “Those carriers are not able to handle all of our capacity that we need at peak,” said Amazon’s chief financial officer Brian Olsavsky, during an earnings call in January. “We have needed to add more of our own logistics to supplement our existing partners. That’s not meant to replace them,” he said. Amazon faced a Christmas shipping fiasco in 2013 when the carriers failed to meet the holiday delivery deadlines. Despite Amazon’s promises, many customers could not receive their gifts before Christmas, and that was the straw that broke the camel’s back, according to Rossman. Amazon decided to take more control over its supply chain after the incident. Amazon invested in thousands of trucks before Christmas last year primarily for use between its warehouses and source centers, said Olsavsky. It also leased 40 cargo planes in August. The company operates a network of delivery stations in 13 states to deliver products directly to customers. It expanded its warehouse and fulfillment network from one facility in 1997 to 90 facilities covering 63 million square feet in 2015, and it increased this capacity by another 30 percent in 2016, according to Citigroup estimates. “These additions allow for the company to move a product housed in a California fulfillment center to a New York City delivery station within two days without ever touching a delivery carrier,” stated the Citigroup report. The company started to invest in sorting centers in 2014, which allowed them to significantly increase their partnership with the U.S. Postal Service (USPS) and other regional carriers. And this reduced their dependence on UPS and FedEx. FedEx and UPS represented 35 percent of Amazon’s total U.S. shipping costs in 2015, while USPS and other regional carriers accounted for 43 percent, according to the Citigroup report. Although Amazon has expanded its logistics network out of necessity, it does not rule out the possibility of offering its expertise and service to third parties. “Amazon has a long history of creating capabilities first for themselves and then creating platforms where others can leverage this capability,” Rossman said. The Fulfillment by Amazon (FBA) service is a great example of this in the logistics business, according to Rossman. FBA provides storage, packaging, and shipping services to third parties. Amazon needs to tackle the last mile (delivery to the final destination), which is an expensive part of the transportation chain. It needs shorter drives and more packages per stop to make it profitable, according to experts. But the company does not have that kind of scale yet. FedEx and UPS operate more than 1,000 planes and 200,000 vehicles to deliver packages to customers, according to a Wall Street Journal report. And FedEx spent $15 billion in the last 19 years to build out its ground network, according to the Citigroup report. “Given the magnitude of Amazon’s volumes, ramping up a meaningful last mile operation would require regular and sizable long-term capital expenditure to create needed capacity,” the report stated. And this is something Amazon can do, so long as the last mile capability provides faster, cheaper, and better delivery service, said Rossman.